Often times when people first see and use Nautilus Platform, they remark on the intuitive and engaging experience with the tool. They’re then curious about how we’ve built something that holds usability and experience as a priority, and so we want to take some time to explain our focus on human-centricity and how this informs of our design decisions. At its core, human-centricity is about understanding people’s needs, something Nautilus Labs believes is fundamental to building successful products and services. As technologists we want to combine what’s possible with the challenges our users face in their everyday lives. We do this by empathising with the perspectives of the people we’re building solutions for. Humans are, of course, nuanced individuals with unique needs. 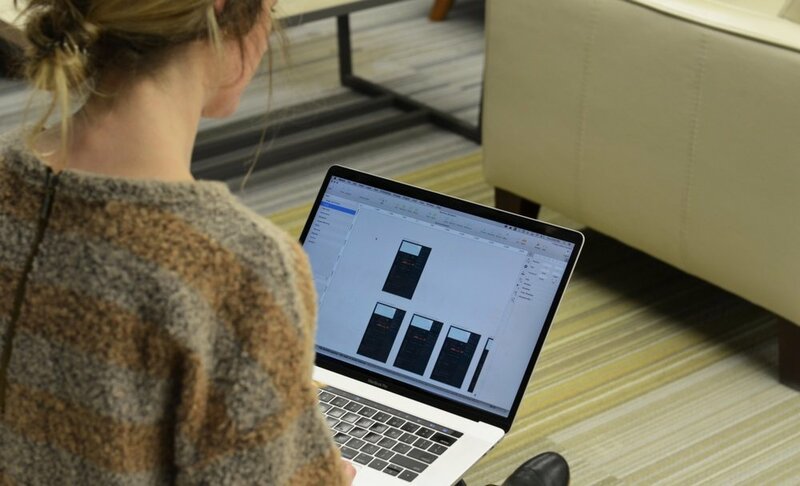 By using qualitative user research methods our product team has been able to find common themes, shared frustrations, and areas for innovation. Nautilus’ Product Design Lead, Kristi Grassi, focusing on User Experience. Our product team spends a significant amount of time interviewing operators, technical superintendents, and charterers, observing how they interact in their workplace and with each other. We also solicit feedback to ensure we’re looking at problems through the same lens. This requires a deep understanding of the kinds of pressures they are under, what motivates them, and what makes them tick. We seek to deliver improved vessel performance models and trends to the industry using high frequency, normalized vessel data. We have a lot of ideas around how certain technologies could drastically improve accuracy and real-time understanding of a vessel’s operating profile. When we talked to various ship owners, operators and captains we learned that there were a lot of possibilities of how we could approach this. We knew we could recreate various industry artifacts with higher quality data and remove the legwork of manual reporting, but as we began digging a little deeper we realized that still wouldn’t address the real pain points many of our users were experiencing. Currently, vessel’s operating profiles are presented in overly complex reports that are not easily accessible and are difficult to understand. We discovered this resulted in low accountability around vessel performance related issues, not because people didn’t care, but because they didn’t have the right tools to be proactive. Through our user interviews, we found that important hull fouling insights were buried in a multi-page report of fine-grained, unnecessary information that needed to be requested from another department entirely, often getting lost in email threads and quickly becoming out of date. Similarly with engine performance we found that the sought after information was stored in clunky, complicated software and therefore was left to the use of a select few that had been trained on how to access it. This leads to siloed information between departments and a lack of transparency. When we asked various customers to share how these reports and information were used we discovered everyone cared about the same handful things—the impact on fuel consumption, how it would affect arrival windows and knowing when maintenance needed to be scheduled. We also discovered an interesting workflow where Operators and Technical team members where taking screenshots of trendlines as a way to figure out what was going on in certain circumstances and we saw an opportunity to bake this into the product and create more transparency between departments. Using high frequency, normalized data we created a performance tool that’s powerful and insightful while also being easy to use and understand. We have layered rich information into easily decipherable trends and KPI’s that anyone across the organization can understand. We created a tool that supports and promotes collaboration by surfacing anomalies, captain’s remarks and performance deviations in one place. Users are also given the ability to comment, assign and resolve events that require attention. Our goal is to take important matters outside of siloed email threads and spreadsheets and funnel into a single, consolidated workflow. By taking the human-centric approach we’ve been able to tackle the true underlying challenges of creating more transparency and accountability which results in safer and more efficient vessel operations. And this is the key to building a great product - with and for our clients. 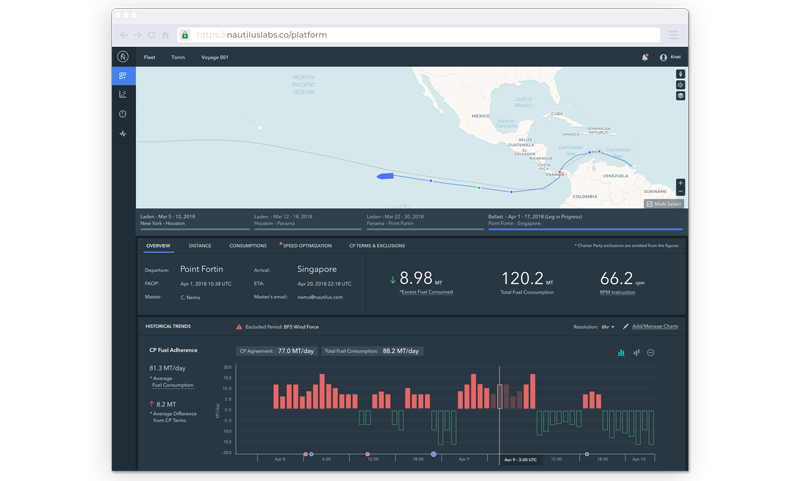 As a maritime tech company, Nautilus’ goal is to build products, that solve problems for our clients in an intuitive and useful way. Our engineering and design team is constantly developing, refining, and providing new updates, features, modules, and analytics for Nautilus’ clients. 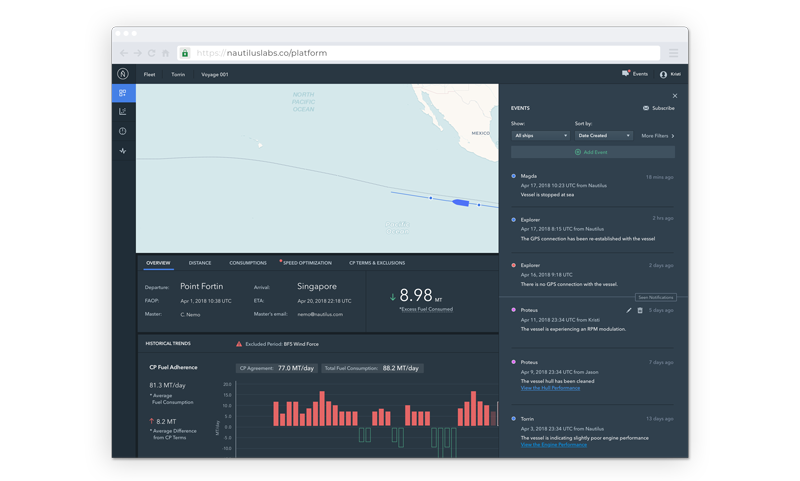 To see your data in our platform, get access to our analytics tools and real-time monitoring capabilities, please contact us at info@nautiluslabs.co.